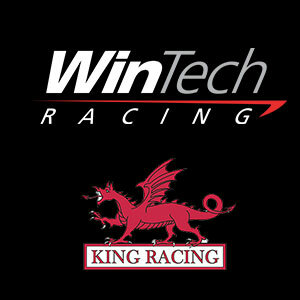 No more regular battery purchases...no more muffled sound....significantly reduce repair and replacement costs. Comes with a blue bumper as standard, please choose from the below options if you would like a different colour. The last megaphone you will ever need to buy! Ergonomically designed and carefully built to defy the severe environmental elements that commonly ruin other megaphones: corrosion, cracking, breaking, water damage. Plus, the long-lasting rechargeable battery means you never have to replace multiple expensive batteries again! Rechargeable, removable battery allows you to simply charge and go — forget the hassle and cost of constantly replacing multiple batteries! 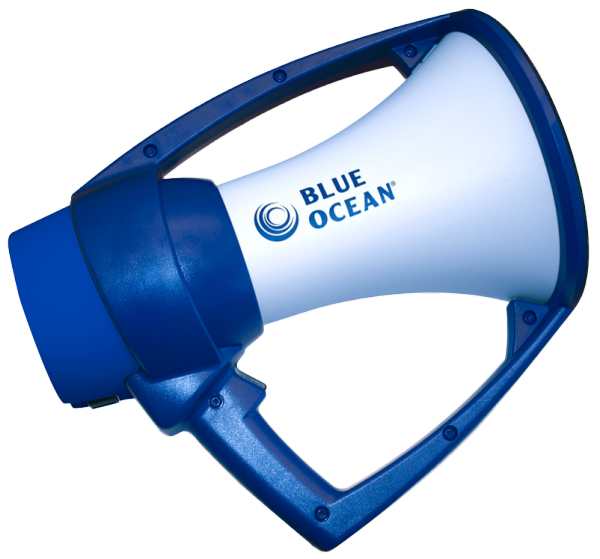 The Blue Ocean Rugged Megaphone was engineered with a unique design to combat the environmental elements that easily wear down the competition. To project a louder, clearer sound the megaphone has a higher efficiency amplifier built in to improve the overall sound quality. In addition, the microphone inside the megaphone is fully enclosed and protected within the equipment so that water and weather cannot get in, making it completely waterproof. This benefit proves to be extremely valuable after accidental drops into the water as well as rainy days. The strong and durable polycarbonate material (the same resin they make motorcycle helmets from!) enables the megaphone to withstand nature even on its toughest days to prevent cracks and corrosion over time. The wrap-around handle feature provides an easy and comfortable grip for the user. Ultimate voice projection with crystal clear sound and extreme range. Microphone is located at the top of the megaphone to allow clear line of vision while speaking into in. The sire/horn button loudly alerts people from a distance. Forget the hassle, cost and environmental impact of buying C or D cell batteries. This easily removable, rechargeable battery gives you volume and continuity of operation that you can count on! Eight hours of typical operation (defined as speaking 35% of the time at volume level 6). Thirty hours of standby time. Battery lock allows your battery to stay in place no matter how rough you use it. Removable can bumper adds shock absorption and protection. This rugged megaphone meets MIL-STD-810 Transit Shock Standards and bounces without breaking. Protective horn rim bumper cushions the megaphone whenever the horn is placed face down. Rechargeable batteries - never buy another battery again! Twist-in technology for battery door - No more duct taping your megaphone!